Believe it or not, my most requested recipe is probably the recipe for my pumpkin soup. If you've never had a pumpkin soup, beware it's not sweet like you may imagine, the way butternut squash soup is. It's actually quite savory. This dish's popularity has become legendary. I've had friends remind me of this soup on more than one soup-less social occasion. Regardless of the season, canned pumpkin is readily available, so when the mood strikes you, do not fear! Pumpkin soup is here!! Heat oil in a large pot over medium heat. Add carrots, celery, and onion. Sauté 7-8 minutes or until softened. Add broth, pumpkin, and thyme. Lower heat and simmer 15 minutes. 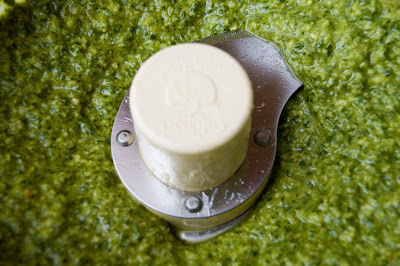 Working in batches, purée soup in a blender or food processor. Alternatively, use an immersion blender to purée the soup. Return soup to pot and stir in cream, simmering until heated through. Season with salt and pepper and serve. As you may have noticed, I'm a pretty big fan of eggs. While Eggs Benedict may be the jewel in my breakfast world, this baked egg dish gives Eggs Benedict a run for its money. 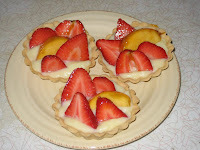 I first saw this recipe in an old issue of Gourmet magazine, and have since adapted it slightly. This version contains the original fillings, but I've also tried adding sauteed mushrooms (delicious), whatever you have on hand. You can even try a Mediterranean version if you want by adding crumbled feta cheese, sun-dried tomatoes, and Kalamata olives. 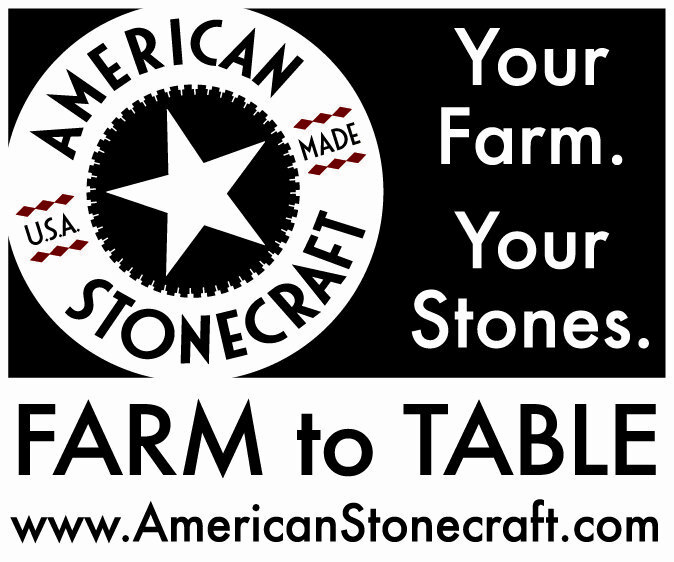 Have a field day, but keep it simple! Just add your favorite omelet fillings! I did once try putting two eggs in one ramekin with poor results. Unless your cooking dishes are much wider, I wouldn't recommend this since the egg layer then becomes very thick and then takes so long to cook the whites that you end up overcooking the yolks. Yuck! 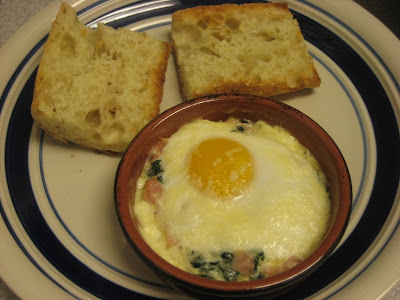 Stick with one egg per ramekin or use wider, shallower individual baking dishes if you want to make larger portions. Preheat oven to 350 with rack in middle. Cook onion in 1 T butter in a 12-inch heavy skillet over medium-low heat, stirring, until softened, about 2 minutes. Add garlic and season lightly with salt and pepper, then cook, stirring, 1 minute. Add spinach, 1/4 tsp salt and 1/8 tsp pepper and cook, turning with tongs, until spinach is wilted. Divide spinach, then ham, among ramekins, spooning 1 T cream into each serving. Crack an egg into each ramekin and season lightly with salt and pepper. Spoon remaining cream evenly over each egg, about 1 tsp or so for each. 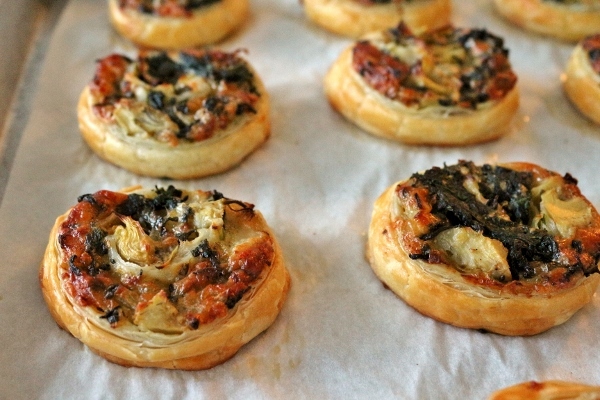 Sprinkle each with a little shredded cheese if using (I've tried Gruyere and Parmesan on different occasions and both were great). Cut remaining butter into 8 small pieces and dot each egg with butter. Put ramekins in a shallow baking pan and bake, rotating pan halfway through baking, until whites are just set but yolks are still runny, 15-20 minutes, removing from oven as cooked. This recipe came together when faced with leftover roasted chicken. What to do with the leftovers? Eat them as is? Or incorporate them into another dish, perhaps a risotto (do not fear the mighty risotto, it's one of the easiest dishes to make!). This is how I divised this delicious cross-over dish. Is it risotto, or is it chicken marsala? It's both! Heat up 2 T. olive oil in a large pot over medium heat. Add the onions and cook until softened. Add the Arborio rice and stir to coat with the oil. Cook the rice until almost opaque, about 5 minutes. Add 1 cup of Marsala wine and stir to absorb. Add a ladle-full of broth at a time, stirring to absorb before adding more. Continue adding broth until the rice is tender, but still has a bit of a bite (al dente) and the texture is creamy, about 25 to 30 minutes. Meanwhile, add the remaining 2 T. olive oil to a saute pan and cook the mushrooms until they are golden and juicy. Add the remaining 1/2 cup wine and cook, saturating the mushrooms with the wine flavor. Add the chopped chicken and toss to coat. Season with salt, pepper and set aside. 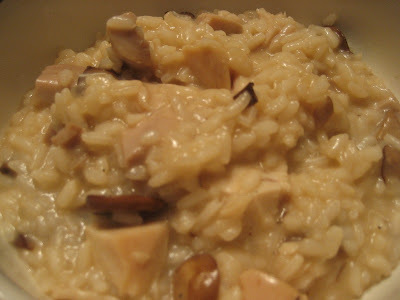 When the risotto is al dente, add the mushroom-chicken mixture along with the Parmesan. Taste and adjust the seasonings as necessary. There you have it, a risotto and chicken marsala in one! Once upon a time when I was a poor college student, in the tiny ill-equipped kitchen of the French House at Boston University, I created this masterpiece to take to a friend's Oscar party. Before I headed off to the party, one of my housemates tested one out, and immediately begged me to make her a whole batch if she paid for all the ingredients. I, of course, accepted and happily turned out another batch the following day. Years later this recipe has stood the test of time. 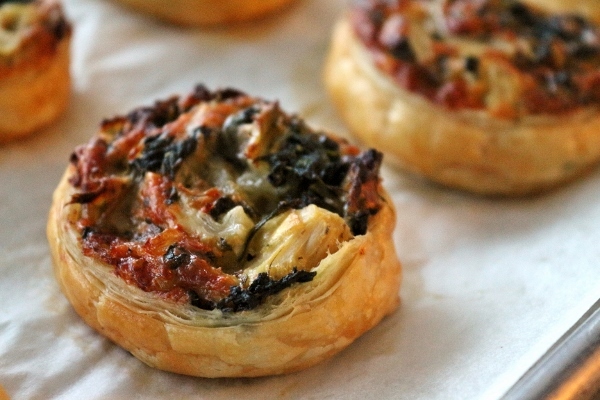 Imagine your favorite qualities of spinach and artichoke dip wrapped with flaky, buttery puff pastry. Not only is it delicious, but it's seriously great for parties, and really impressive for something that's actually quite easy to make. 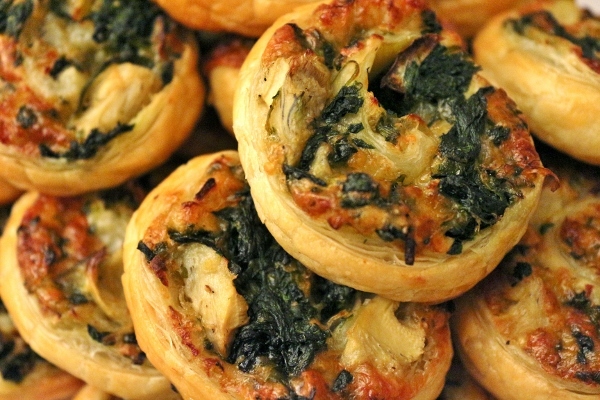 I've turned out many batches of this addictive pastry over the years. I find Pepperidge Farm brand puff pastry to be a bit easier to work with because it's thicker (it comes in the 17.3-ounce package) and less sticky. Also, because it's folded, the seams from the folds create an easy guide for cutting the pastry into slices. I most recently used Trader Joe's brand of puff pastry (a 16-ounce package), which is rolled instead of folded, and it considerably thinner and sticky in comparison. You can easily flour your surface if working with it, but I just used the supplied piece of parchment wrapped around the dough. If your dough is on the softer side, you may want to refrigerate or freeze your assembled rolls briefly before cutting them, to ensure less messy slices. *Note* Blog post, photos, and recipe updated 1/4/16. Heat oven to 400ºF. In small skillet over medium heat olive oil. Add onion, garlic, and chili flakes. Cook until softened, about 2 to 3 minutes. 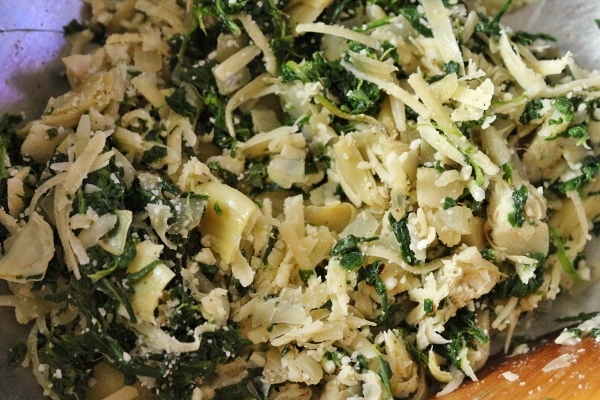 Remove from pan and combine in medium bowl with spinach and artichokes. Set aside to cool. Stir in Gruyère and Parmesan. Season with salt and pepper to taste. Unfold or unroll one of the two puff pastry sheets on lightly floured surface. If the pastry is folded, make sure the seams are running vertically and the "ugly" side is facing you. Top with half the vegetable-cheese mixture, leaving half-inch border. In small bowl combine egg and 1 tablespoon water. Brush the furthest edge with a little egg wash. Starting at the end closest to you, roll up pastry, jelly-roll-style, sealing the roll with the egg wash edge. 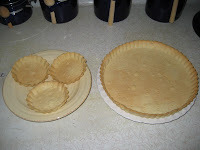 Repeat with the other puff pastry sheet and the remaining filling. If the rolls seems soft, freeze them for about 10 to 15 minutes to firm up and allow for easier slicing. 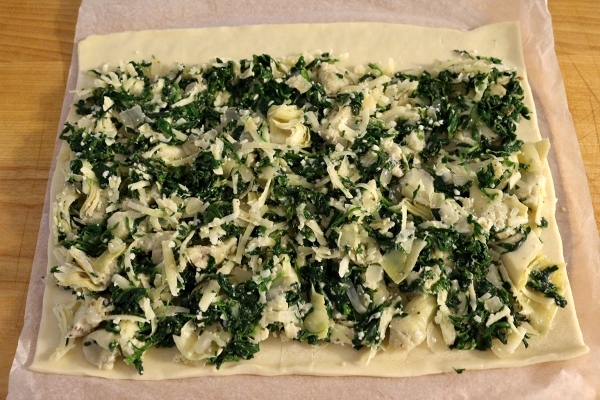 Cut each roll into 1/2-inch-thick slices, using the puff pastry's seams to guide you, if they exist. Lay slices flat 2-inches apart on baking sheets covered with parchment paper. Brush with egg wash. Bake 25 to 35 minutes, or until golden. Carefully use a spatula to remove pastries. They will often stick in the center where the cheese melts. Serve warm or at room temperature. These are best the day they are made. Place each chicken breast one at a time between plastic wrap and use the flat side of a meat mallet (or the bottom of a bottle if you don't have one) to pound the chicken breasts to about 1/4 inch thickness (the chicken will be very flat and large). Arrange a breading station with large shallow bowls or other containers side by side as so: seasoned flour, eggs, then bread crumbs. One by one, dredge each chicken breast on both sides with flour, then eggs, making sure to drain off most of the egg, then in bread crumbs and set aside. When all the dredging is complete, heat up 1-2 T of olive oil and/or butter in a large saute pan over medium heat. Olive oil has a high burning temperature, so only fry with it if your meat is thin enough to cook through before the crust starts to burn. Never deep fry in olive oil. Your food will burn. Butter has a lower burning temperature, so feel free to use half olive oil and half butter to achieve the flavor of the oil and the burning temperature of the butter when cooking your chicken. If you hate both options, use vegetable oil and I won't tell anyone you did. Add one or two breasts to the pan at a time, alternating their positions and flipping them over to ensure even cooking (since the pan is heated more in the center, the outer edges of the chicken won't brown or cook through as quickly, thus it is best to flip flop outside to inside once before flipping over, especially if you are using a large pan). Cook through on both sides, adjusting the heat as necessary so the chicken cooks through without burning the crust. Remove the chicken to a paper towel-lined tray and set aside until all the chicken is cooked. Serve chicken topped with a generous spoonful of pomodoro sauce. Heat the olive oil, garlic, and salt in a medium saucepan over medium heat, stirring often. Keep a close watch and adjust the heat if necessary because you want the garlic to slowly turn from opaque white to slightly translucent golden without browning. As soon as the garlic is lightly golden, immediately add the wine and water. Bring to a boil, reduce the heat and simmer until the garlic is soft and has taken on a nutty color, and the liquid as reduced by half. Add the tomatoes and bring to a boil. Use a potato masher to lightly break apart some of the tomatoes. The sauce will still be chunky, but this will help some of the tomatoes break down a bit and thicken the sauce. Lower the heat and simmer uncovered, stirring occasionally, for about 45 minutes to 1 hour, or as long as it takes for most of the liquid to evaporate and the sauce to thicken nicely. Yum!! Believe it or not, I was once a very picky eater. As a child there were many things I would never put in mouth, including anything green (I thought herbs tasted like paper), basically all fruits and vegetables, and shrimp, among other things. Although my family was not a fast food family, and we regularly sat down together for home cooked meals, my absolute favorite thing in the world, and the only thing I would eat in certain "moods," was cheeseburgers, cheeseburgers galore! I prefered Burger King to all the others, and would even throw hissy fits when I was sick and refuse to eat anything but cheeseburgers. So I wouldn't starve, my parents would give in and allow me to eat cheeseburgers on these special occasions. I remember going to a fancy restaurant with my family once when I was young, and of course I wanted a cheeseburger. It was intended for adults, and was way too big to fit in my mouth, so my mom cut the whole burger into little pieces. Yes, I have always loved cheeseburgers whether they are fast food, gourmet, or homemade in the back yard. 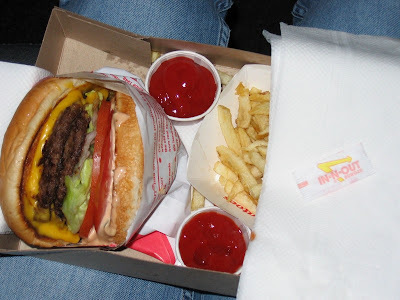 In recent years, I've discovered the ultimate in my fast food fantasies: In-N-Out's Double Double Cheeseburger. Now for all of you who have never been to the West coast, you may have only heard of this famous burger, but never had the pleasure in indulging in one. Let me suggest you buy your plane ticket now! First of all, In-N-Out has very few items on its menu. People are often shocked during their first visit. There is a "secret menu" that offers additional items. Why keep this menu a secret? Because they can! And because enough people are die-hard fans and spread the word to all the newbies. Now you know too! My personal favorite is a Double Double Animal Style burger. Imagine this: a fresh (never frozen) juicy beef patty. Now multiply it by two. Add perfectly melted, gooey American cheese. Top it with a pile of grilled onions (Animal Style) and some creamy "special" sauce. Add some lettuce and tomato and slap the whole thing between some buns and you've got yourself the most succulent fast food goodness you will ever try! I don't usually indulge in fast food, but this is out of this world, and honestly does not carry as much guilt as other places do. Maybe it's the fact that all their ingredients are fresh. Their fries are freshly cut and their meat doesn't sit in a freezer for weeks. Service here is also really great. If you are compelled to use the drive thru, you don't have to place your order through a microphone system that will result in you receiving someone else's order. An actual person stands outside, takes your order, answers your questions, and places your order through their computerized system. They ask you if you are eating in your car or not (they package your meal differently depending on your answer! A box if you are eating in the car, a bag if not) and then you drive up to the first window, pay, then drive up to the next and are given the most magical food you will ever receive from the hands of a fast food employee. This is the kind of service all fast food restaurants should offer! Rock on! If you aren't drooling... you must be a vegetarian. Honey. It's the single reason I don't want to plan a mass attack on the entire bee population. That and, oh yeah, pollination. Honey serves many purposes, other than being delicious (which is obviously its main purpose). Unlike sugar, it contains antioxidants and vitamins, is unrefined and natural. It's also lower in calories and won't raise your blood sugar as quickly! It's perfect for sore throats and oh so delicious in your tea. 1. Use equal amounts of honey for sugar up to one cup. 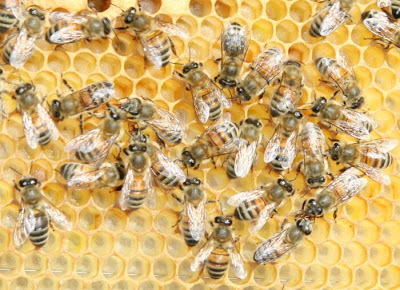 Over one cup, replace each cup of sugar with 2/3 to 3/4 cup of honey depending upon the sweetness desired (honey is actually sweeter than sugar). 2. Since products with honey brown faster, lower the baking temperature 25 degrees and watch your time carefully. 3. In recipes using more than one cup honey for sugar, it may be necessary to reduce other liquids by 1/4 cup per cup of honey. 4. In baked goods, add 1/4 teaspoon of baking soda per cup of honey if baking soda is not already included in the recipe. This will reduce the acidity of the honey, as well as increase the volume of your product. Finally, here's something you've probably never tried. Honey ice cream! If you love honey like I do, this will become a popular recipe, since it's not something you can commonly find at supermarkets and ice cream shops. It's really worth investing in an ice cream maker if you don't already have one. You can buy one for about $50 (this is the updated version of the one I have ) and once you've tried homemade ice cream you won't go back! In a medium mixing bowl, beat the honey with the egg yolks until thickened and pale yellow. Set aside. Bring the milk to a simmer (but not boil) in a heavy medium saucepan. Slowly beat the hot milk into the eggs and honey. Pour the mixture back into the pan and place over low heat. Whisk constantly until the custard thickens slightly, making sure it doesn't come to a boil or else the eggs will scramble. Remove from the heat and pour the hot honey custard through a strainer into a large clean bowl or measuring cup (this will make it easier to pour later). Let the custard cool slightly, then stir in the cream and vanilla. Cover and refrigerate until cold or overnight. 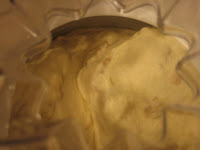 Stir the chilled custard, then freeze in 1 or 2 batches in your ice cream machine. 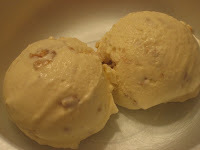 When the ice cream is semi-frozen (about 5 minutes before you plan to turn it off), add 1 cup of granola to the machine and allow it to mix into the ice cream. When finished, the ice cream will be soft, but ready to eat. For firmer ice cream transfer to a freezer-safe container and freeze at least 2 hours. It's pretty well known to the people in my life that I'm not only an avid "meatetarian" but that I'm also a big fan of France and all that the French have given us, both in the culinary world and elsewhere. 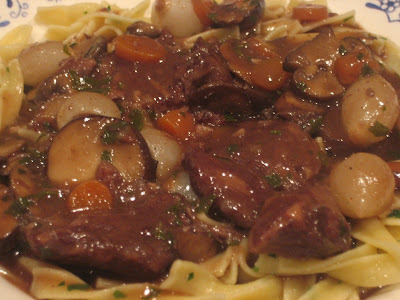 With this knowledge in mind, it's not surprising that Beef Bourguignon rocks my world. Take a basic beef stew, with its tender meat and delicious vegetables, raise it ten notches, and you will have this kicked up French version. It's surprisingly simple considering it stews for several hours. I made it last night and got rave reviews all night! My grandma, who loves beef and pasta but doesn't eat either very often because of her dentures and her diabetes, said it was the best meal she's ever had! My family doesn't like bacon (which is traditionally part of the dish) so I omitted that, but you can easily dice up about 6 oz of bacon, fry it up, and set it aside to add to the stew later with the rest of the browned meat. Bon appetit! 1. Cut the beef into 2 inch pieces. In a large casserole, heat half the olive oil at medium-high heat. Add the beef in batches, as to not crowd the pan. Sear beef on all sides until well browned and set aside. 2. When all the beef has been browned and set aside, add the onion, carrot and garlic to the pot over medium heat and cook for a few minutes until softened, stirring frequently. Sprinkle 3 T of the flour over the vegetables and cook for a couple minutes, then add the wine and tomato paste. Whisk until smooth. 3. Bring to a boil and return beef (and bacon if using), and then cover with beef broth. Cover the pot and simmer over low heat, stirring occasionally, for about 3 hours or until the beef is very tender. 4. Mash 3 T of the soft butter with 3 T of flour with the back of a spoon until completely smooth to form a beurre manié. 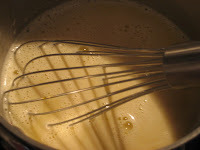 Gently whisk some of the cooking liquid into the beurre manié, and then whisk the mixture back into the stew. It will thicken very nicely! Season with salt and pepper to your liking. 5. While the meat is stewing away, in a separate pan, heat the remaining olive oil at medium heat and add the mushrooms. Sauté, stirring frequently, until golden, then set aside until ready to use. 6. Meanwhile, bring a pot of water to a boil, then generously salt the water and add the egg noodles. Cook until al dente and drain. Toss with the remaining 3T butter and half the parsley. Set aside and keep warm. 7. After the meat has simmered for 3 hours, add the sautéed mushrooms and pearl onions to the stew and cook, covered, for 30 minutes more. Stir in the remaining parsley before serving. Serve the stew over the egg noodles. My absolute favorite breakfast dish is a Heart Attack on a Plate, which in some circles is referred to as Eggs Benedict. The origins of this heart-stopping dish are unclear, but all trace back to famous eateries in New York City in the late 1800's. Was it Mrs. LeGrand Benedict's desire to try something entirely new at Delmonico's one day that led her to try some ham and poached eggs on an English Muffin with Hollandaise, or was it Lemuel Benedict seeking a hangover cure at the Waldorf-Astoria which consisted of toast, bacon, poached eggs and a pitcher of Hollandaise? In any case, I'd like to thank all parties involved in its creation! You've put a smile on my face (and perhaps a lining of fat in my arteries)! 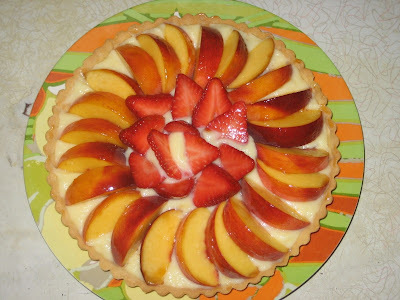 Let's take a look at all the great variations in creating this classic dish! English Muffin: This is the traditional base for Eggs Benedict. Most restaurants will stick to this ideal as the bread element for the dish. Toast: Mr. Benedict's version of the dish was served on toast, as opposed to an English Muffin. Brioche: A fancier version of toast. This sweet egg bread has sopped up yummy egg and Hollandaise at some of the fancier breakfast joints I've tried. It is a happy substitute for the traditional English Muffin. Try cutting it out in a circle to mimic the shape of an English Muffin. Biscuit: A country-style version can be served over a split biscuit, using a sausage patty as the meat and substituting gravy for the Hollandaise. 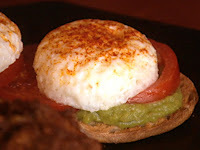 Also, try a Southwest version also using a biscuit but spike the Hollandaise with a little Chipotle for a spicy kick! Scone: Yes, much like a biscuit, a savory scone can be split and used as the base for this delicious dish! Potato Cakes: Another starchy variation. A cool idea would be to incorporate a filling such as lobster into the mashed potato cakes themselves and then top immediately with a poached egg. You could also try making latkes with grated potato instead. Fried Potato Skins: One of my favorite discoveries was at The Griddle Cafe in West Hollywood, California where they serve their variation over three fried potato skins and a huge slab of ham. You can only imagine how great this is! I suggest you try this immediately. It can easily be recreated at home, since frying potato skins doesn't require the greatest culinary skills imaginable. Ham: Oh so traditional, but always yummy. Canadian Bacon: Kind of like a circle-shaped ham, perfect for layering this "round" breakfast dish. Bacon: Yes, bacon. It's like what pigs were born to create. Prosciutto: It's the other thing that pigs were born to create. Don't cook it like you would with the other meats, or you'll dry it out. Use thinly sliced Prosciutto di Parma--it's the best and will melt in your mouth! Pancetta: Can you say "round bacon?" A perfect fit! 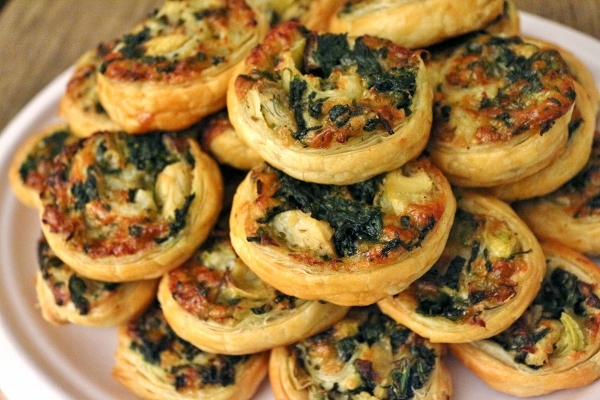 Spinach: This makes it Eggs Florentine, which is usually served with a cheesy Mornay sauce as opposed to Hollandaise. I once had a great version served over brioche with ham and spinach, with a traditional Hollandaise at the Farm of Beverly Hills. It was definitely a winner! Smoked Salmon: One of the great upgrades to this dish, many restaurants now offer this version, but you can easily try it yourself at home with a slice of your favorite smoked salmon. Crab Cakes: As if it couldn't get any better! 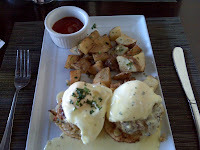 The only thing better than a crab cake, is Crab Cakes Benedict! The cakes are obviously smaller so they can fit on the the English Muffin (or in the case of the photo to the left, on round slices of brioche), but what's lacking in size is not lacking in flavor. Yum! Lobster: The King of all seafood. You can't get much fancier than this. Cook yourself a lobster tail and just slice it into medallions. One or two slices should be more than enough to transform this dish into one fit for royalty. Asparagus: You can easily add some steamed asparagus on it's own or with a meat filling, such as ham or lobster. You get the picture! The Eggs: Poached. That's all. Hollandaise: The classic emulsion of egg yolks, lemon juice, melted butter and seasonings. There are many variations on this sauce that can enhance the dish, like spicier versions with chilis or enhanced with orange making it a Maltaise Sauce instead. You can even do a tomato spiked Hollandaise or Bearnaise (called a Choron sauce) depending on what goes with the filling you've chosen. Mornay: This is basically a Bechamel sauce (or white sauce) with grated cheese (usually Gruyere) melted into it. This is traditionally served over Eggs Florentine. Alas, I think this is a pretty good foray into the world of Eggs Benedict. Finally, check out the egg song, which will not only get stuck in your head, but I promise it will change your life forever! 1. Prepare the sauce. Place the egg yolks, lemon juice and seasonings in the jar of a blender and blend on high speed for a minute. With the machine running, slowly add the melted butter in a steady stream. When all the butter has been added (about a minute later), the sauce should be thick. If not, process on high speed for about 20 seconds more. Keep the sauce warm by placing the blender jar in warm water. 2. Next poach the eggs. Boil some water in a skillet with a couple teaspoons of vinegar. This will help the eggs hold their shape. When the water comes to a simmer, crack each egg into a bowl and one by one, slip them into the simmering water. Cook for about 4-5 minutes and then remove with a slotted spoon and let "dry off" momentarily on a paper towel. 3. While the eggs are cooking, toast your English Muffins (using a broiler will get it done faster), butter them, and cook your ham or Canadian bacon and layer the slices onto your English Muffins, which you can keep warm in the oven until the eggs are ready. 4. 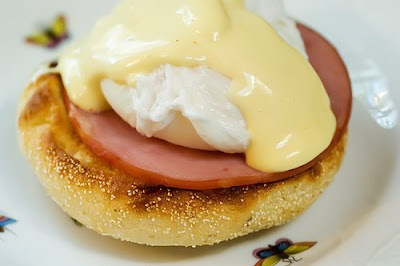 Top each English Muffin and ham with a poached egg and then blanket with a generous drizzle of Hollandaise. Enjoy!